Michelle Sagara West is a Japanese-Canadian author. She publishes books under the names Michelle West and Michelle Sagara (her maiden name). She lives in Toronto. You can read excepts of her books and keep up with her blog at Michelle Sagara West’s website. 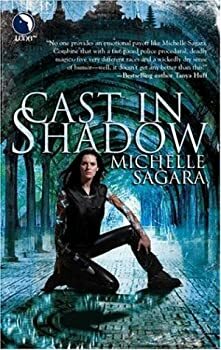 Cast in Shadow by Michelle Sagara is a book about outgrowing a victim mentality, finding your strength and embracing your purpose. It would be a nice book to give to a 12- or 13-year-old girl, especially one who may be struggling with identity or self-esteem issues. Two things would stop me from sharing it: inadequate world-building and poor writing. Cast in Shadow’s Kaylin is a “Grounded Hawk,” a human in a law enforcement / espionage unit controlled by the winged race called the Ariens, in the city of Elantra. Kaylin’s sergeant is a Leontine, a lion-like humanoid, and two of her friends are Barrani, a virtually immortal race. There are also dragon lords, although they look human — or humanish — most of the time. A lovingly written yet very depressing novel, The Hidden City is unlike any fantasy novel I have encountered. A tragedy with no pretensions to the contrary, this new novel by acclaimed author Michelle West visits pain upon its protagonists for over 600 pages. 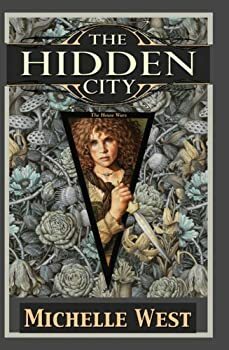 The Hidden City is the beginning of a prequel to the events in West's earlier books in The Sacred Hunt and The Sun Sword series. It relates the events leading up to the war for House Terafin. The novella is the ideal length for a science fiction story. It’s long enough to allow a reader to become immersed in a scene and involved with the characters; and it’s short enough to allow a reader to suspend disbelief as to the more unscientific or strange aspects of a story without questioning them too closely. 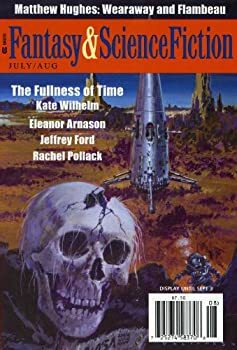 Kate Wilhelm’s “The Fullness of Time,” which forms the backbone of the July/August issue of The Magazine of Fantasy & Science Fiction, is a fine illustration of the strengths of the novella form. 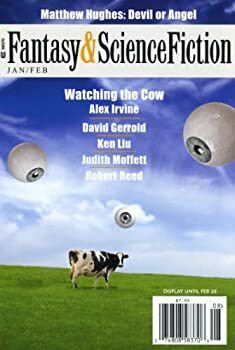 The latest issue of F&SF is stuffed with good reading. I can’t pick a favorite, as I often do; many of the stories hit that sweet spot. 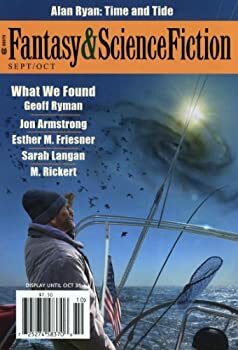 Robert Reed’s short story, “Among Us,” is a good example: it’s about the Neighbors, creatures who look exactly like humans but are not, though they may not know that themselves. The narrator studies the Neighbors in every way possible — almost. There comes a moment when he is not willing to let research take its course, and whether that proves something to him, to the researchers, or to the Neighbors themselves (or even all three at once) is not entirely clear. Reed's story is full of wonder, which is why he remains one of the best short story writers in the field. The Sundered — (1991-1994) As Michelle Sagara. Publisher: Since the beginning, Bright Heart had warred against Dark, dual divinities locked in titanic struggle… Now the Lady, First Servant of the Bright Heart, had pierced the veil of time, where the future held only one slim hope for the forces of the Light… Erin was already a warrior and a gifted healer, but scarcely more than a child. Yet the Lady named her the champion of their people — for only through Erin could Light finally triumph. A warrior whose talent was healing, a healer committed to destruction… Erin’s path would be a tortuous journey of faith into the Dark Lands! The Sacred Hunt — (1995-2011) As Michelle West. Publisher: Once a year, the Sacred Hunt must be called. To continue the land’s and people’s prosperity, the Hunter God’s prey would be one of the Lords or his huntbrother. This was the Hunter’s Oath, sworn to by each Lord and his huntbrother. It was the blood Oath taken by Gilliam of Elseth and the orphan boy, Stephen. The fulfillment of their Oath would prove the kind of destiny from which legends were made. The Sun Sword — (1997-2004) As Michelle West. Set in the same universe as The Sacred Hunt, 16 years later. Publisher: Tor Leonne — the heart of the Dominion of Annagar, where the games of state are about to become a matter of life or death — and where those who seek to seize the crown will be forced to league with a treacherously cunning ally… Tor Leonne, ancestral seat of power, where Serra Diora Maria di’Marano — the most sought-after beauty in the land, a woman betrayed by all she holds dear — may strike the first blow to change the future of Dominion and Empire alike. Speaking With Angels — (2003) As Michelle West. 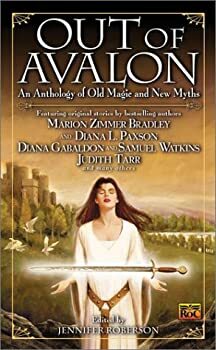 Publisher: Within these twelve stories are heroes, both real and imagined, characters so real it seems they’re sitting beside you, and themes and emotions so resonant that they speak to every fantasy reader. With a new introduction by Tanya Huff, and story notes by Michelle herself, this new collection brings together early and recent work by a master of fantasy. 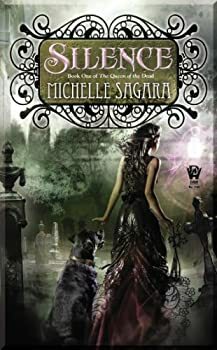 CLICK HERE FOR MORE STOIRES BY MICHELLE SAGARA WEST.